Make your bathtub or shower safer with this easily installed stability bar. The bar acts as a handle to help prevent falls and slips when you’re getting out of the shower or tub or while in the shower or tub. 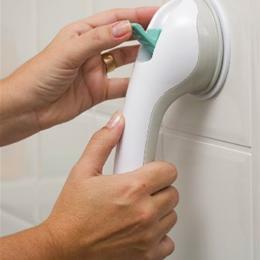 To install, simply attach the strong suction cups to any smooth surface. You can move it by flipping the easy-release tabs.